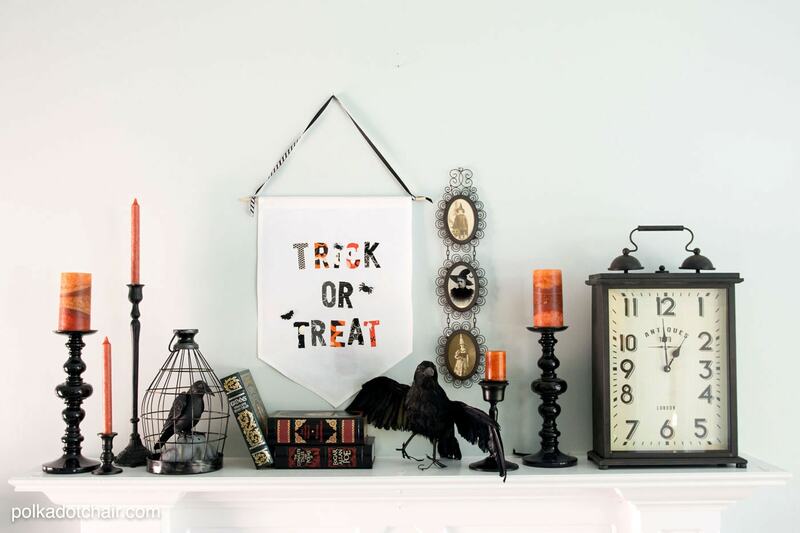 I love Halloween (the fun, colorful, spooky, Halloween, not the uber scary, gory, Halloween) and try to add a few fun DIY Halloween decorations to my home each year. 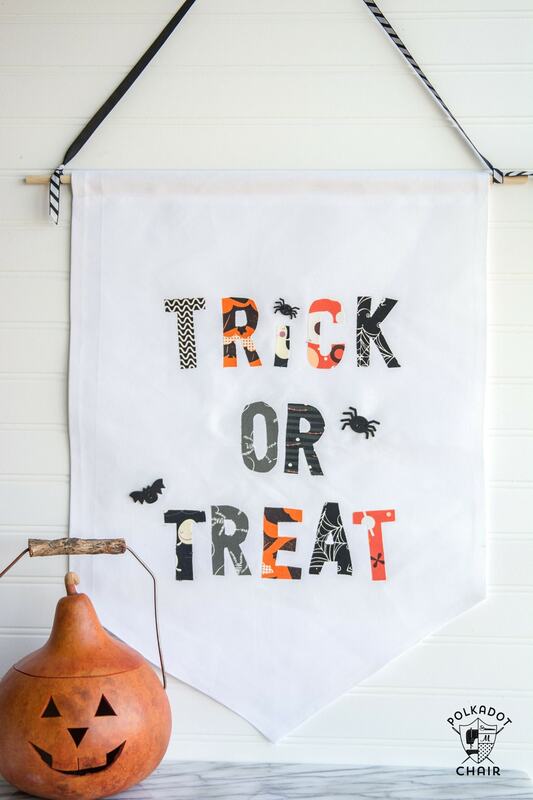 This DIY Trick or Treat Canvas Halloween Banner is so easy to make, you don’t even need a sewing machine! 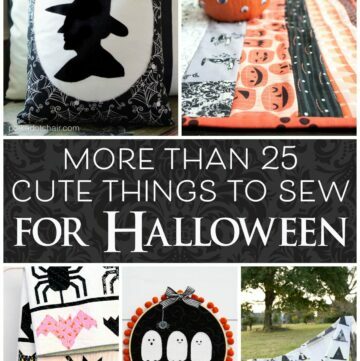 I have a really BIG collection of Halloween fabrics and I’m always looking for more ways to use up my stash. 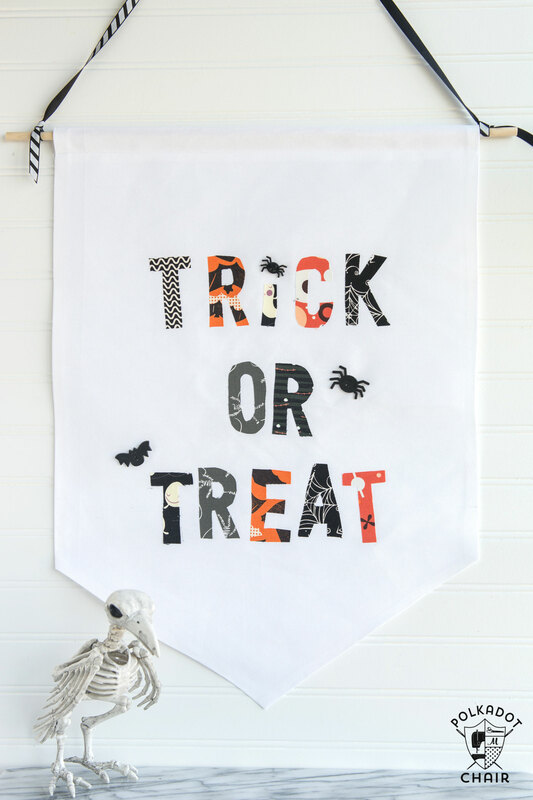 This canvas banner is made primarily from the fabric that I used for my Halloween Hexagon Quilt (CLICK here to see it; also another decoration that I can’t wait to get out). 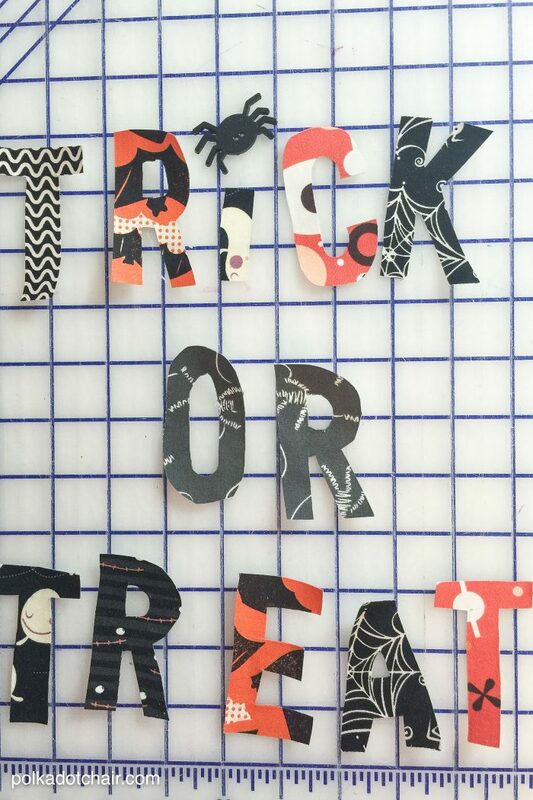 One day as I was rummaging through the scraps I got the idea to use some of them to make this Halloween Banner. Want to make one too? 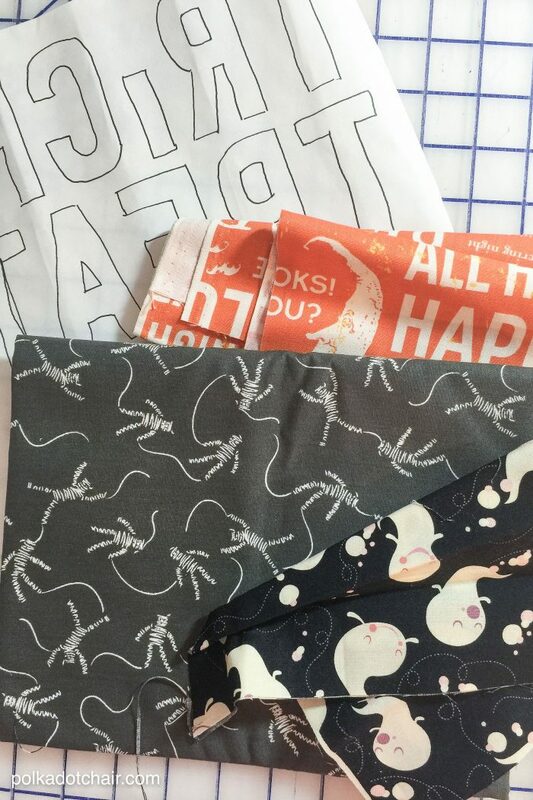 It’s really easy and there is only ONE seam you have to sew, and you could skip that if you wanted to. 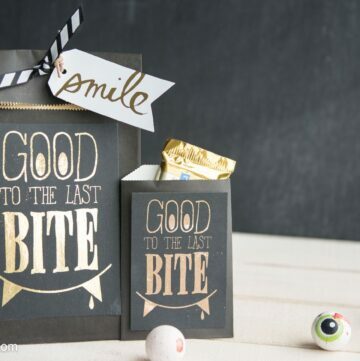 Print out the template and trace the letters onto a piece of paper backed fusible web. Yes, they are backward on purpose. Cut out again this time precisely. 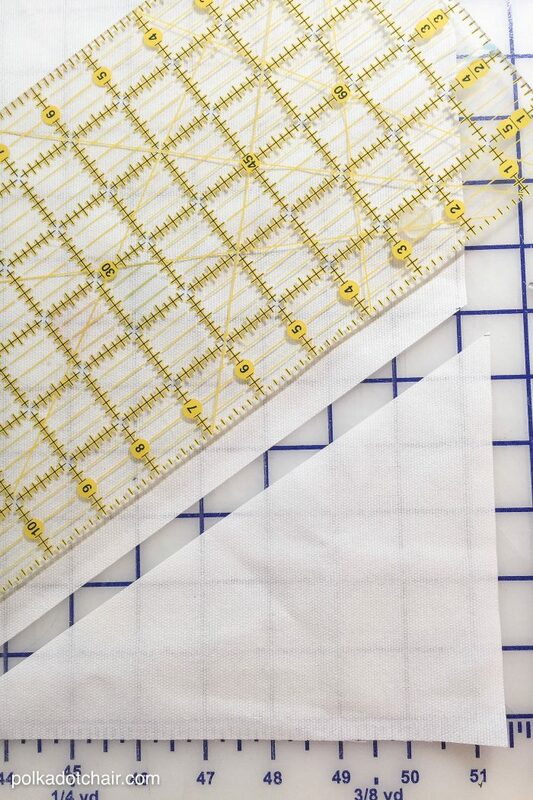 Measure the center of the 18″ side of your 18″ x 24″ piece of fabric. Mark it. Measure down 18″ on each 24″ side of the fabric. Mark each spot. 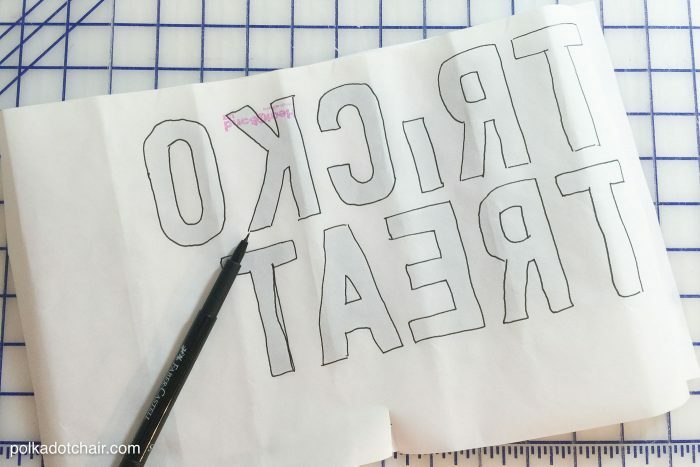 Draw a line from the 18″ mark to the center of the fabric. Do the same for the other side of the fabric. 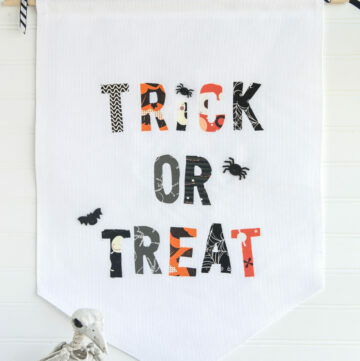 Cut fabric along these lines so that you have the banner shape. 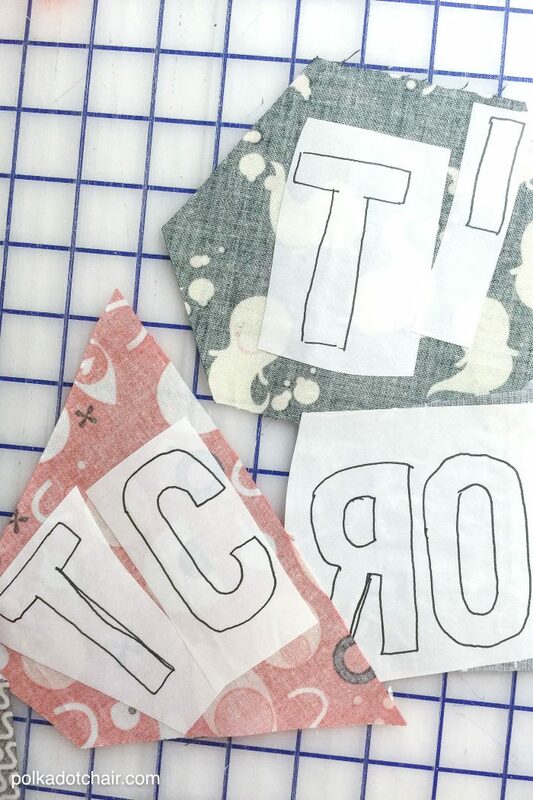 Fold under the raw edges of all sides except the top 3/8″ and press. Use a piece of steam a seam to hold the hem in place. 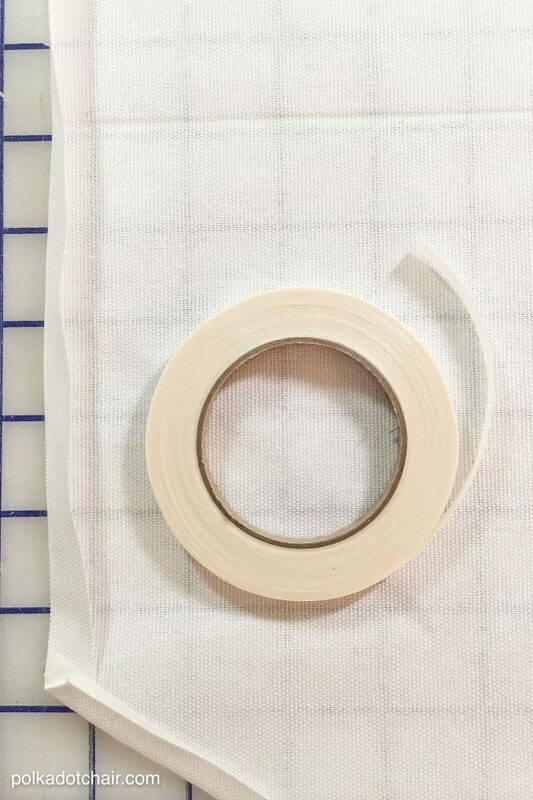 On the top of the banner fold down 1″ and stitch along the raw edge a straight line- this will make the pocket to hold the dowel rod. 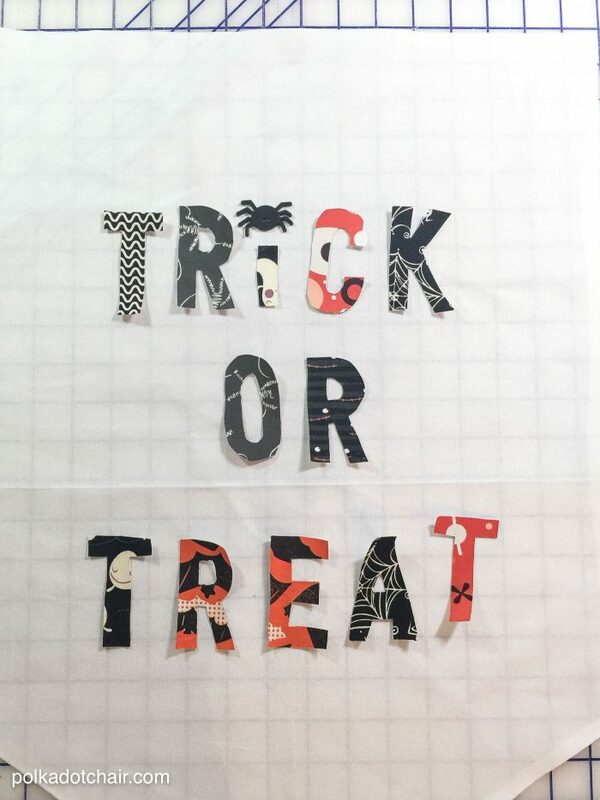 Lay the cut letters out where you’d like them. 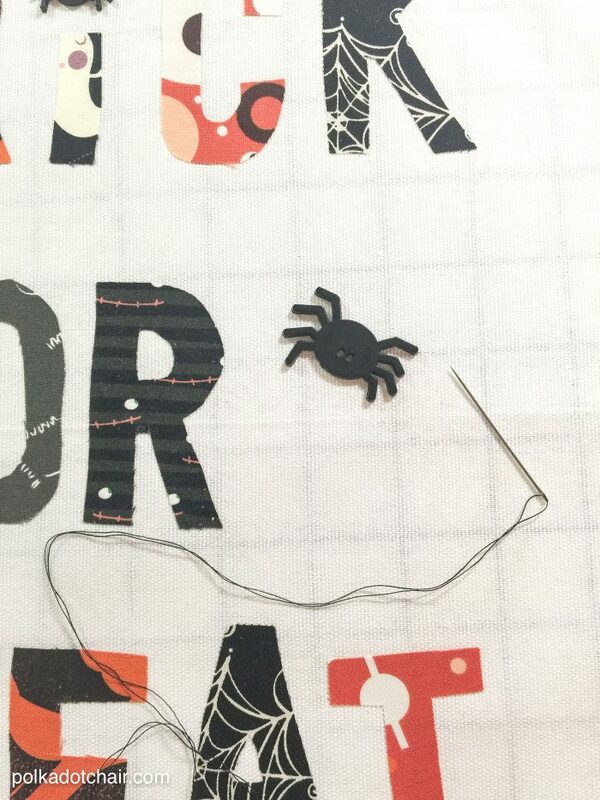 Peel off the paper backing and iron in place. Embellish with spider buttons as you like! 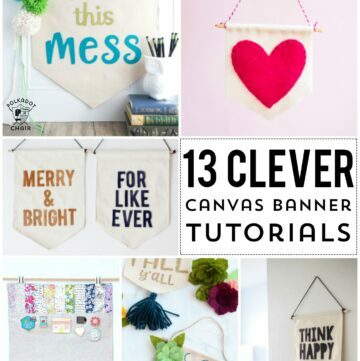 Now you’ve got a cute banner that you can hang on your front door, above your fireplace mantle or on your wall. Enjoy! !